Methylcobalamin, also called methyl B-12 or mecobalamin, is a type of vitamin B-12 that has gained interest as a therapy to relieve symptoms of diabetic neuropathy in cats. There are no studies regarding the use of methylcobalamin specifically in cats, therefore, all evidence of benefits in treating certain conditions in cats are based on studies in other animals or are anecdotal. Cyanocobalamin, also called cobalamin, is the most commonly available form of vitamin B-12 from supplements. The body breaks it down into methylcobalamin and adenosylcobalamin, the forms of the vitamin that the body actually uses. Because dietary B-12 is found in meat, cats usually get enough from their food. B-12 deficiencies usually result from health problems that prevent absorption of the vitamin. Methylcobalamin is the type of B-12 essential for nerve and brain health. This specific role in neurological function, plus the fact that the body does not need to break it down into a usable form, are the reasons that methylcobalamin as a supplement is preferable for therapeutic uses. Diabetic neuropathy in cats is nerve damage caused by poorly controlled diabetes. Because methylcobalamin specifically works in the nervous system, it is used to repair damaged nerves. Clinical research published by the Japanese Society of Internal Medicine shows the supplement to be an effective treatment for this condition in humans. According to FelineDiabetes.com, owners of diabetic cats with neuropathy have reported great improvement in symptoms such as weak hind legs when methylcobalamin is used, especially in combination with other therapies. Another study at Shanghai Jiao Tong University showed that methylcobalamin repaired nerve damage in injured rats, opening the possibility that methylcobalamin will have the same effect in other animals. FelineCRF.org reports that the supplement is beneficial for cats with chronic renal failure, which often have vitamin B deficiency due to frequent urination. The website also reports that some owners of cats with the condition claim that methylcobalamin relieves symptoms like incontinence and constipation, but such claims are only anecdotal. Dosage varies according to the cat's weight. 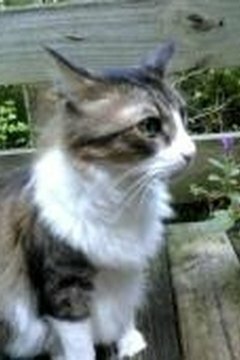 According to FelineDabetes.com, many owners of diabetic cats give their pets 3 to 5 milligrams per day. Methylcobalamin is a water-soluble vitamin, therefore, any amount not used by the body is eliminated in the urine. Because of this, overdosing is unlikely, however, cats with chronic renal failure may need smaller doses, according to FelineCRF.org. There are no veterinary formulations of methalcobalamin for cats, except as part of a multivitamin, so commercially available supplements are meant for human use. Some supplements contain xylitol, a sugar alcohol that is toxic for cats and dogs. Make sure supplements used for pets do not contain xylitol. Do not give your pet any medications without first consulting with your veterinarian. Debbie Tullos has more than 10 years of experience writing and producing for broadcast television. She holds a degree in mass communication from Louisiana State University. As a freelance writer, her work has been published on eHow.com and Trails.com.